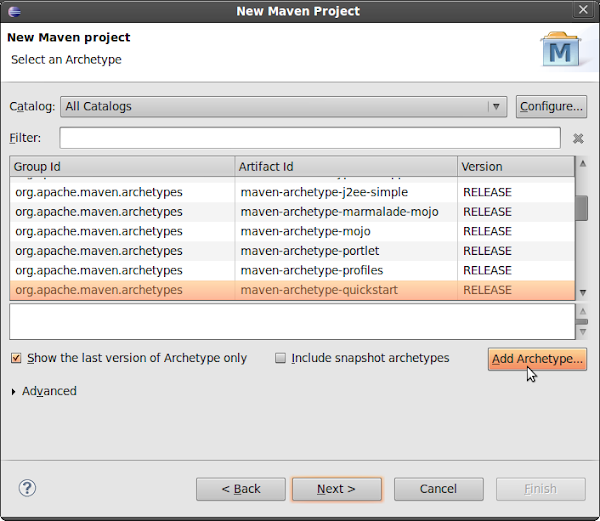 You can do this by clicking on File -> New -> Other and choosing Maven project as shown below. Click on Next to reach the screen that lists your available archetypes. 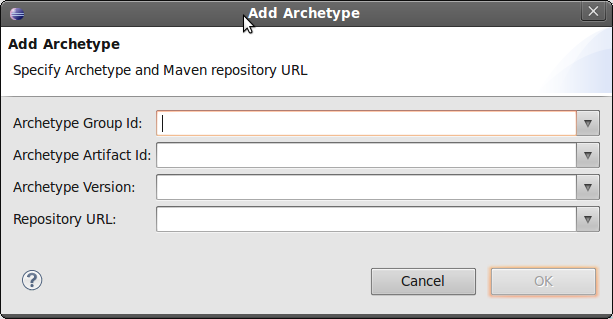 Then click on the Add Archetype button. 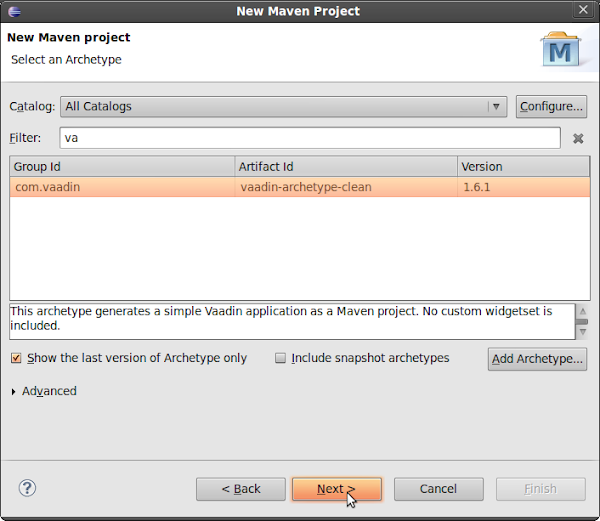 Click OK and after a short while you will be able to find the Vaadin archetype in the list of available archetypes. What you put in here, is up to you. Click Finish once you have filled it in. Your new project will now be created, configured with Vaadin, ready to run. 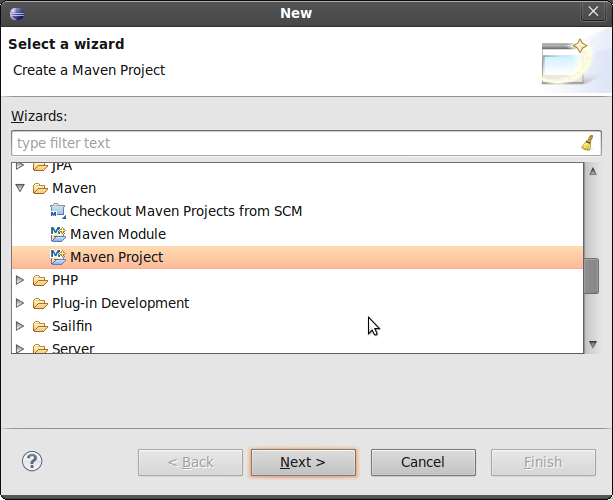 In the Project Explorer, right-click on your newly created project, and choose Run As -> Maven Build. 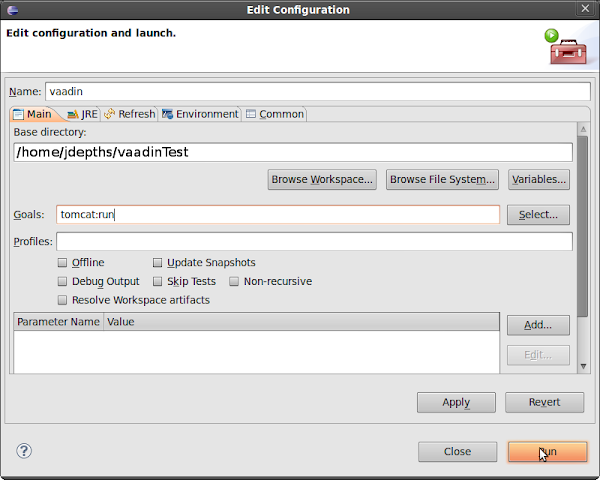 In the next screen that shows up, type in tomcat:run in the Goals field, and click Run. Your project will now run on an embedded Tomcat server instance. 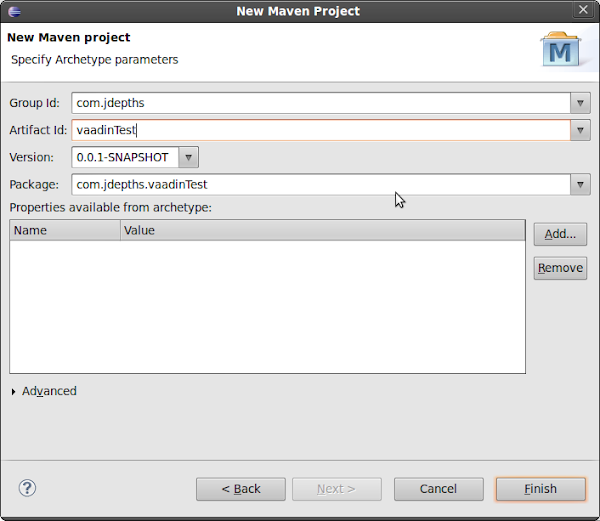 Step 5: View your web application on a browser Well, if everything went correctly, you will now be able to visit your project in your browser. 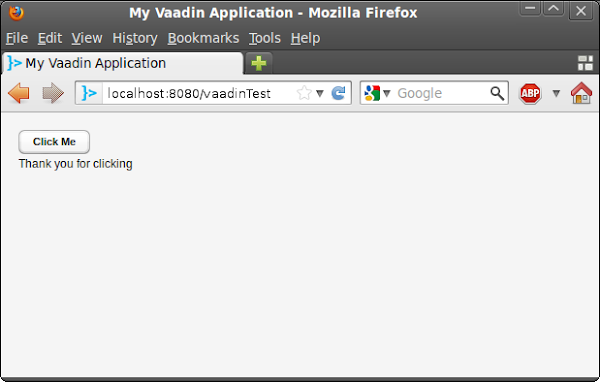 There, your Vaadin project is ready and fully configured on Eclipse. Just go ahead and add in your source code in the src/main/java/. Do remember to click the stop button in your console window before running the project again. Thanks for reading. Please do let me know if you find any faults with my articles. I always look forward to your reviews and comments.